&bull; Take control of and level up iconic heroes from the Call of Duty franchise, including Call of Duty 4: Modern Warfare, Call of Duty: Black Ops II, and more. Each hero has their own progression system and unique Killstreaks. 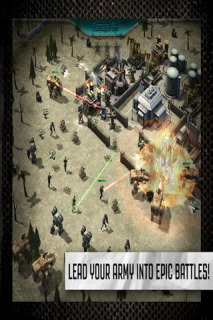 &bull; Train and specialize your army using units directly from Call of Duty, such as Juggernauts, Dragonfires, and CLAWs. &bull; Unleash Killstreaks such as the drone strike, UAV, care package, and chopper gunner to devastate opponents. &bull; Build and upgrade your base into a fortress with sentry guns, Guardians, SAM turrets, howitzers, mines, and over 30 other upgradable structures. &bull; Team up with your friends to form alliances, donate troops, and dominate your enemies. Tom and jerry food fi..